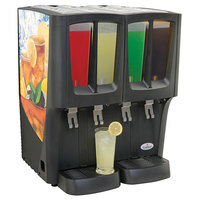 Easily dispense cold drinks like juice, iced tea, lemonade, or mixed drinks by purchasing a refrigerated beverage dispenser. 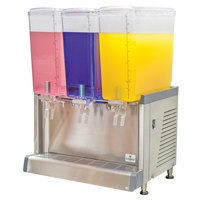 A refrigerated drink dispenser is a must-have for your concession stand, convenience store, restaurant, buffet, cafeteria, or other foodservice operation. 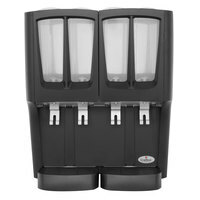 These dispensers hold your pre-made beverages and pour drinks quickly, making service more efficient so your customers receive their orders faster. 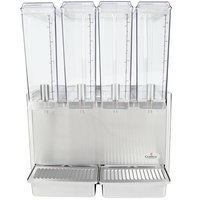 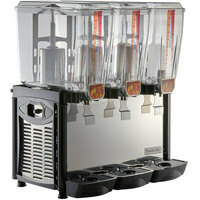 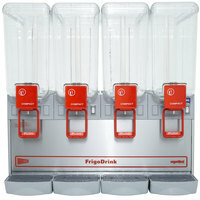 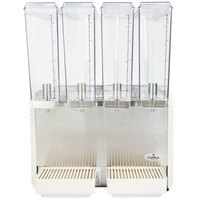 Because these dispensers are refrigerated, your drinks are always cold and refreshing even during the hottest months. 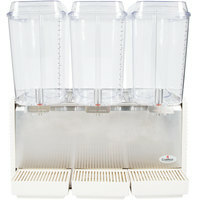 Good- This Avantco RDM33 triple 3 gallon bowl refrigerated beverage dispenser will hold your beverages and keep them cool. 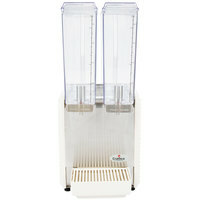 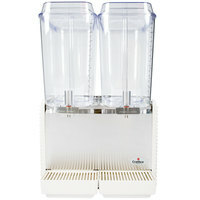 Plus, each has a 3 gallon capacity, ensuring you have a steady supply of refreshingly chilled beverages. 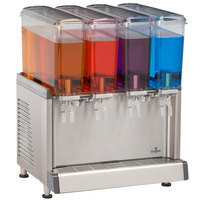 Better - The Narvon D5G-3 triple 5 gallon bowl refrigerated beverage dispenser features a highly efficient cooling pump and adjustable temperature control to ensure you are serving drinks at the ideal temperature, and its paddle system keeps beverages properly mixed. 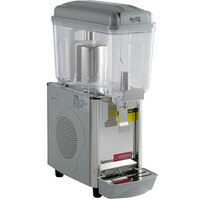 It also features a stainless steel pouring valve for easier cleaning. 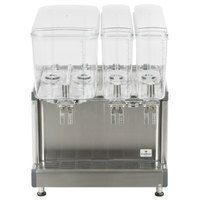 Best - Keep a steady supply of cold beverages on hand for your customers with this Crathco D35-4 triple bowl high impact plastic refrigerated beverage dispenser. 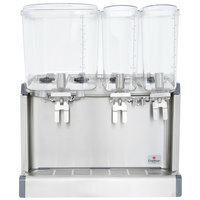 Featuring an ample 5 gallon capacity in each bowl to minimize refills, this dispenser has a unique evaporator and high efficiency pump for a quicker start-up, and features a stainless steel pouring valve for easier cleaning. 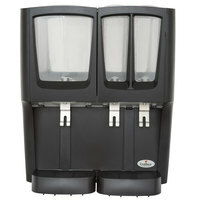 Good- This Avantco RDM32 double 3 gallon bowl refrigerated beverage dispenser will hold your beverages and keep them cool. 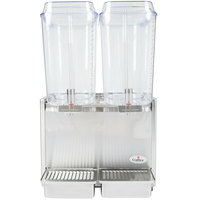 Plus, each has a 3 gallon capacity, ensuring you have a steady supply of refreshingly chilled beverages. 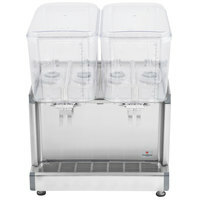 Better - The Narvon D5G-2 double 5 gallon bowl refrigerated beverage dispenser features a highly efficient cooling pump and adjustable temperature control to ensure you are serving drinks at the ideal temperature, and its paddle system keeps beverages properly mixed. 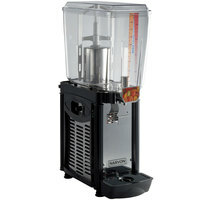 It also features a stainless steel pouring valve for easier cleaning. 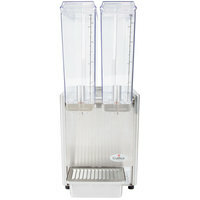 Best - Keep a steady supply of cold beverages on hand for your customers with this Crathco D25-4 double bowl high impact plastic refrigerated beverage dispenser. 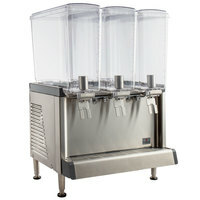 Featuring an ample 5 gallon capacity in each bowl to minimize refills, this dispenser has a unique evaporator and high efficiency pump for a quicker start-up, and features a stainless steel pouring valve for easier cleaning. 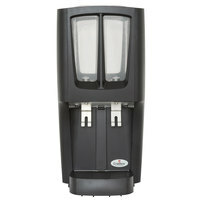 Good - This Avantco RBD31 single 3 gallon bowl refrigerated beverage dispenser will hold your beverages and keep them cool. 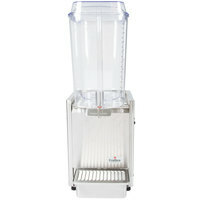 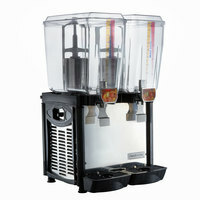 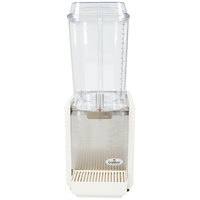 Plus, it has a 3 gallon capacity, ensuring you have a steady supply of refreshingly chilled beverages. 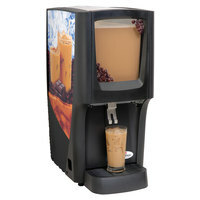 Better - The Narvon D5G-1 single 5 gallon bowl refrigerated beverage dispenser features a highly efficient cooling pump and adjustable temperature control to ensure you are serving drinks at the ideal temperature, and its paddle system keeps beverages properly mixed. 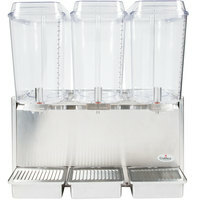 It also features a stainless steel pouring valve for easier cleaning. 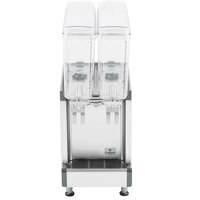 Best - Keep a steady supply of cold beverages on hand for your customers with this Crathco D15-4 single bowl high impact plastic refrigerated beverage dispenser. 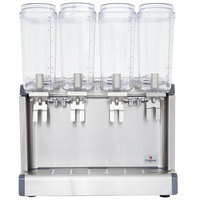 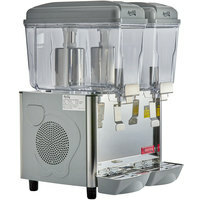 Featuring an ample 5 gallon capacity helps to minimize refills, this dispenser has a unique evaporator and high efficiency pump for a quicker start-up, and features a stainless steel pouring valve for easier cleaning.